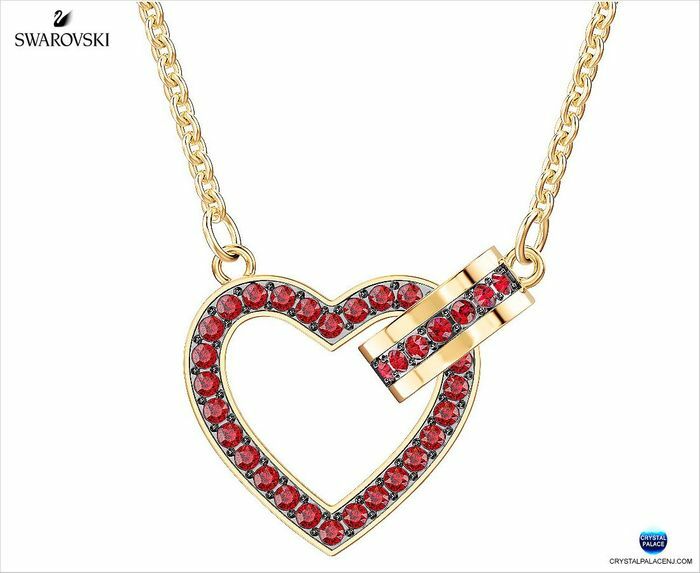 Try a cool and romantic twist on traditional heart jewelry with the Lovely Necklace. Ideal for Valentine's gifting, this gold-plated design symbolizes the unique bond between two people with its interlocking heart and circle motif. Red crystal pavé adds a touch of color. Mix and match with other Lovely jewelry pieces for added impact.